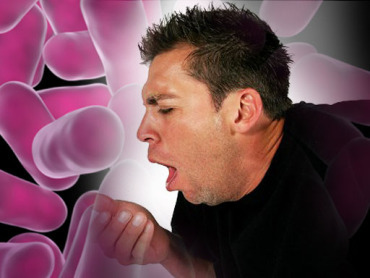 The Washington State Department of Health has declared a statewide epidemic for whooping cough (Bordetella pertussis). For the first three months of 2012, there have been 640 reported cases of the disease, mostly babies and infants. We’re very concerned about the continued rapid increase in reported cases. This disease can be very serious for young babies, who often get whooping cough from adults and other family members. We want all teens and adults who haven’t had Tdap to be vaccinated to help protect babies that are too young for the vaccine. Many adults do not realize they are infected with pertussis, just presenting with a persistent cough. This happens because the pertussis immunity “wears out” over time, and booster shots are required to rebuild the immunity. The bigger issue is that the adults, who may not experience serious issues with the infection, pass the infection on to unvaccinated children (the first immunization for pertussis is usually given at 2 months) or children who are incompletely immunized. Whooping cough is extremely contagious, so one person can expose a large number of people to the disease, either these children or other adults with lapsed immunity. Whooping cough in babies and infants is dangerous, killing 1 in 100 babies under the age of 2 months who contract the disease. It goes without saying that parents who have bought into the anti-vaccine lunacy are putting their children at risk. Whooping cough may seem like a benign disease, but don’t put children at risk. If you’re children are old enough to be vaccinated, make sure they are. If you’re an adult and have not had a booster in years, get re-immunized. And if you’re a part of the anti-vaccine silliness, I hope that you’ll reconsider. via Wash. state declares whooping cough epidemic | Vaccine News Daily. Next PostNext How pseudoscience makes its case-Part 1. Revised and repost.